Anders Hillborg gained his first musical experience singing in choirs and he was also involved in various forms of improvised music. From 1976 to 1982 he studied counterpoint, composition and electronic music at the Royal College of Music in Stockholm, where his teachers included Gunnar Bucht, Lars-Erik Rosell, Arne Mellnäs and Pär Lindgren. Brian Ferneyhough, who was a guest lecturer at the College of Music on several occasions, was also an important source of inspiration. Apart from occasional teaching positions, Hillborg has been a full-time freelance composer since 1982. His sphere of activity is extensive, covering orchestral, choral and chamber music as well as music for films and pop music. 2012 Grammy (the Swedish Gramophone Award) for Best Classical CD of the Year for the album Eleven Gates featuring 4 orchestral works by Hillborg. 2013 April 26 world premiere of The Strand settings in Carnegie Hall, NY, with Renée Fleming and The New York Philharmonic. 2016 Grammy (the Swedish Gramophone Award) for Best Classical CD of the Year for the album Sirens. 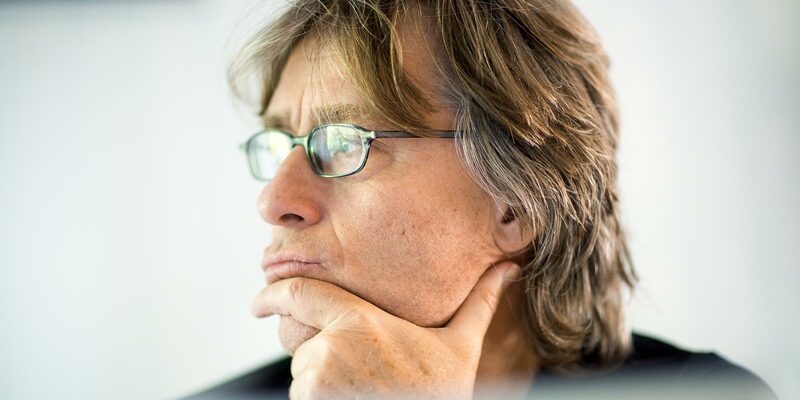 Anders Hillborg's orchestral music has been performed by many major conductors including Esa-Pekka Salonen, Alan Gilbert, Sakari Oramo, Gustavo Dudamel, David Zinman, Andrey Boreyko, Yannick Nézet-Seguin, Michael Gielen, Leif Segerstam, Jukka-Pekka Saraste, Susanna Mälkki, Hannu Lintu, John Storgårds, Daniel Harding and many others. Orchestras that have performed his music include Los Angeles Philharmonic, Berlin Philharmonic, Chicago Symphony, New York Philharmonic, San Francisco Symphony, Tonhalle Orchester Zürich, Bayerishe Rundfunk Orchester, Royal Stockholm Philharmonic, BBC Symphony Orchestra, Swedish Radio Orchestra,, Gothenburg Symphony Orchestra, Oslo Philharmonic, Bergen Philharmonie, Helsinki Philharmonic. He has received commissions from leading performing organisations such as Los Angeles Philharmonic, Chicago Symphony, Berlin Philharmonic, Tonhalle Zürich, New York Philharmonic, Carnegie Hall, Swedish Radio Orchestra, Royal Stockholm Philharmonic and the Gothenburg Symphony. Notable musicians he's worked with include Esa-Pekka Salonen, clarinetist Martin Fröst, mezzo soprano Anne Sofie von Otter, soprano Renée Fleming, choir conductor Eric Ericson.